On the Thursday before MozFest, you’re invited to a Facilitator Coffee Hour, held at MozFest House in central London (note this is NOT at Ravensbourne). It’s an opportunity to meet your Space Wranglers in person and connect with other facilitators in a quieter, more intimate setting before the Festival officially kicks off and you’re swept away by the excitement, rush and crowds of the weekend. The coffee hour is recommended for newcomers or any others who’d like to connect before the event. Join us for Facilitator Orientation on Friday at 10am at Ravensbourne College. This is not mandatory but is highly encouraged! 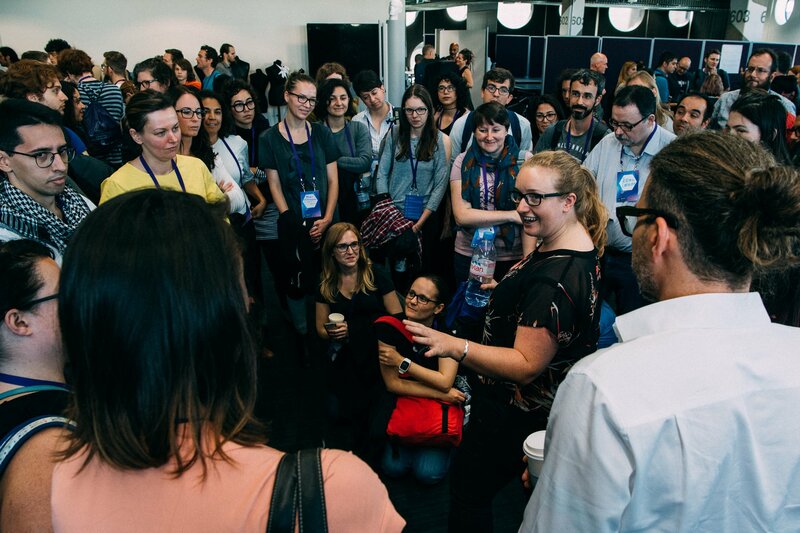 This will be your first opportunity to experience how MozFest embodies the ethos of ‘open’, and sets a tone for excitement, connection and interconnection for the rest of the weekend. You will get to meet the full team, connect with other facilitators and learn more about what will happen at MozFest. While you’re at Ravensbourne on Friday do some last-minute prep and promotion. take the time to find your Space and the location of your session. On Friday afternoon you’re invited to create posters for your session. Supplies will be available for poster creation. You’re welcome to hang your poster around Ravensbourne to entice participants to your session. See your space wranglers for more info. You might also want to take this time to make sure you have a sign-in sheet or a way to capture who came so you can follow-up. If you forgot to create cards to share contact information and links to your projects during the Festival, now is a great time to improvise something. If you have last-minute printing needs, remember, Ravensbourne does not offer printing services! There are two nearby printing shops, https://www.mbe.co.uk/londongreenwich and https://www.pixartprinting.co.uk.